The Republic of the Philippines in Southeast Asia is an island country made up of more than 7,000 islands and islets. With a population of roughly 100 million, the ethnically diverse country has 19 recognized languages. The name Philippines hails from colonial power Spain, which named the territory after King Philip II of Spain. 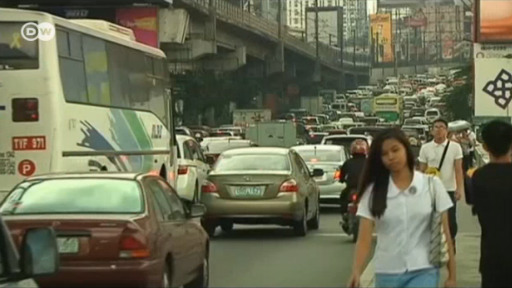 Manila is the capital city, Quezon City is the most populous. This page contains DW's most recent content on the Philippines. Germany's Foreign Office called in an envoy for the Philippines this week after comments defending President Rodrigo Duterte's description of himself as a cousin of Hitler. It also criticized the country's war on drugs. Measles infection cases have soared in the Philippines, killing scores of children since the beginning of the year, officials said. The public is still reeling from a 2017 vaccine scare related to dengue fever shots. "We are not intimidated," said Ressa and her news site Rappler. Rappler says the charges are an attempt to silence a prominent critic of the Philippine government. Ollie Cantos was left blind by medical complications at birth. Bullied as a child, he was determined to make something of himself, went into law, and mentored blind triplets. Colm Flynn reports on how the relationship developed — and ended up as family.